Ever wondered what modified starch is and why it's in so much of the food we buy? What do instant mashed potatoes and freeze-dried coffee have in common? What's the real truth behind the five-second rule? And as the world population grows and the pressure on agriculture to produce more cost-effective and sustainable products increases, what could the future hold for both farmers and consumers? 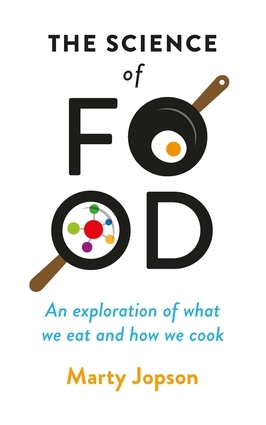 From mind-boggling microbiology to ingenious food processing techniques and gadgets, The Science of Food takes a look at the details that matter when it comes to what we eat and how we cook, and lays bare the science behind how it all works. By understanding the chemistry, physics and biology of the food we cook, buy and prepare, we can all become better consumers and happier cooks! Marty Jopson has a PhD in Cell Biology and is the resident scientist on BBC One's The One Show. He is the author of The Science of Everyday Life.